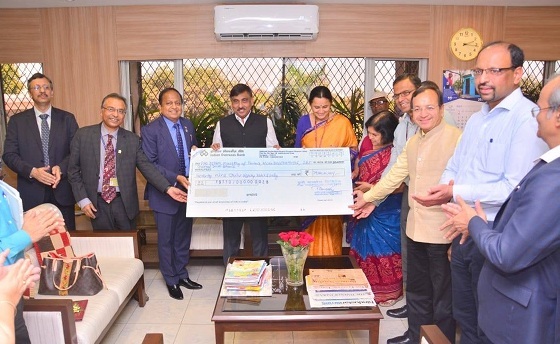 Shimla: SJVN Ltd. has entered into an MoU with a consortium of Banks led by State Bank of India for the 900 MW Arun-3 Hydro Electric Project (Nepal). The other constituents of the consortium are Everest Bank Limited (Nepal) and NABIL Bank Limited (Nepal). 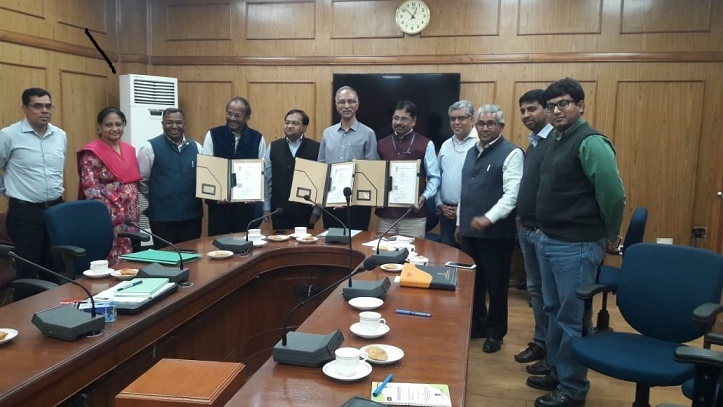 The MoU was signed in the presence of Ex-Prime Minister of Nepal Shri Pushpa Kamal Dahal, Finance Minister of Nepal Dr. Yuba Raj Khatiwada, Chairman & Managing Director, SJVN Shri Nand Lal Sharma & Deputy Managing Director of State Bank of India, Shri P. N. Prasad. 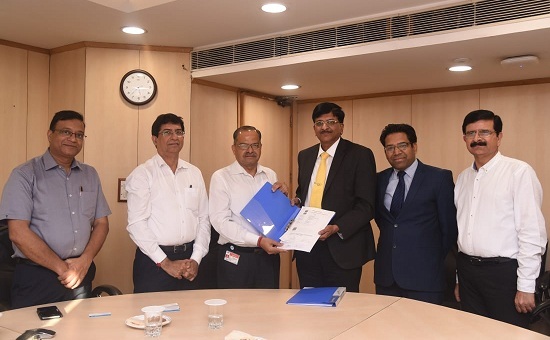 While Shri Satish Sharma, CEO, SJVN Arun 3 Power Development Company (SAPDC) signed the agreement on behalf of SJVN Limited. On this occasion Shri A. S. Bindra, Director (Finance), Shri Kanwar Singh, Director (Civil), Smt. Geeta Kapoor, Director (Personnel) along with other senior officers from SJVN and SAPDC were also present. 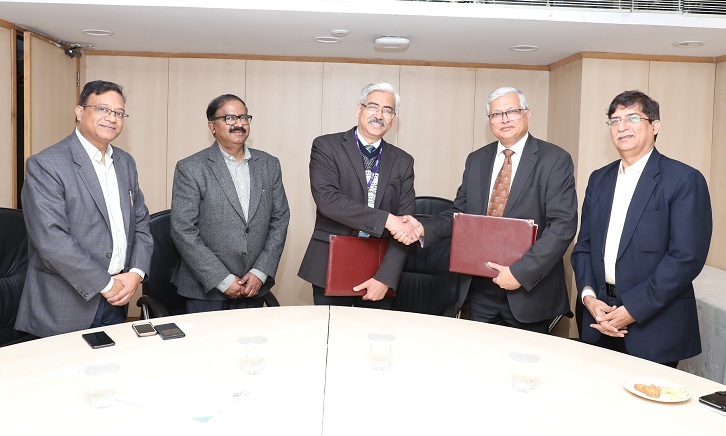 According to the MoU consortium will provide a total term loan of INR 4913 crores (NPR 7860 Crores) in which State Bank of India will be providing INR 4100 crores (NPR 6560 Crores) the rest will be provided by Everest Bank limited and NABIL Bank Limited. Shri Nand Lal Sharma, Chairman & Managing Director, SJVN said that the Project shall be financed on 70: 30 debt-equity ratio. Accordingly, SJVN will contribute INR 2105 crores (NPR 3369 crores) as equity while INR 4913 crores (NPR 7860 Crores) will be the debt portion. With the present net worth of more than INR 10,000 crores and cash reserves of around INR 2,900 crores, SJVN has sufficient financial backing to provide for the equity part. He further asserted that, with India’s Largest Hydro Power Station in its kitty, SJVN has proven expertise of technically executing large Hydro Power Projects, with major underground components, in typical and challenging Himalayan Geology. SJVN is executing 900 MW Arun 3 Hydro Electric Project, through its wholly-owned subsidiary SJVN Arun 3 Power Development Company (SAPDC). The project was awarded to SJVN Limited on a build-own-operate-transfer (BOOT) basis for a period of 30 years. The total project cost is likely to be INR 7018 crores (NPR 11,229 crores), which includes both generation and transmission part.